The Dudognon family have grown grapes in the small village of Lignières-Sonneville since 1776. 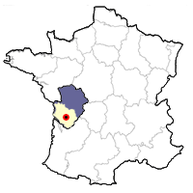 This village is about 11 miles southeast of the town Cognac in the heart of the famed Grande Champagne zone. ​The soil of Cognac's Grande Champagne is largely composed of Campanian chalk. Spirits from this premier cru are especially renowned for their tremendous length. "These Cognacs can hold their own against those of the great houses but have preserved a closeness to their origins, their goût de terroir." After the Second World War, Raymond Dudognon raised the domaine's reputation to new levels with his close attention to detail and minimal intervention of his spirits. Born on January 26, 1927, in Lignières-Sonneville, Raymond came from a long line of Cognac distillers dating back to his great grandfather, Paulin. ​It was in 1946 that Raymond took over the reigns from his father in 1946 and distilled the first Cognacs of his own. He performed his alambic alchemy in a small, wood-fueled still. At the time, most small Cognac producers practiced polyculture. Amidst sunflowers and corn, Raymond had just over 5 hectares (13 acres) of vines. Raymond married his wife Pierrette in 1948. Over the next decade they had three daughters. During this time, Raymond also tore up some of his workhorse crops and replanted the land with vines, arriving at just under 35 hectares (86 acres). 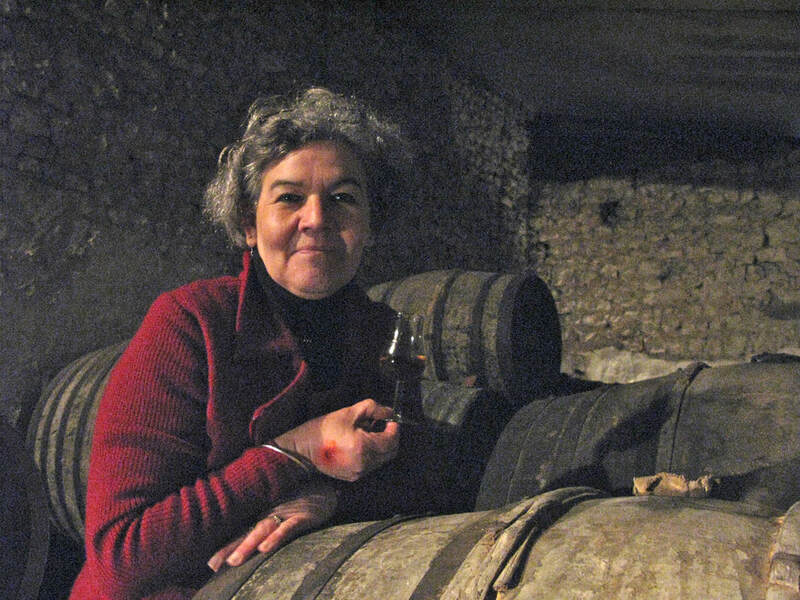 Most bouilleurs de cru — growers who have their their own stills — sold very little Cognac in bottle during this period. Raymond sold his first Cognac in 1950, but the bulk of his production, like that of his neighbors, was sold to the négociants. These Cognac brokers bought and blended entire casks from small producers and then marketed the product throughout the world under their own label. Because of his excellent terroir (with high chalk content which ultimately leads to tremendous length), Raymond became a favorite of several leadingnégociants. In the 1970s, Raymond transformed his still from wood-burning to gas. He was convinced that gas produced a more regular distillation. Yet when he taught his daughter Claudine the ins and outs of distillation, he insisted she learn with a wood fire. Raymond used this strategy because he knew if Claudine could overcome unforeseen problems that can arise with the wood-fueled method, she would develop the skills to perfect distillation by other means. Pleasing aromatics include notes of apple, toffee and spice. Soft texture, with additional notes of vanilla on the palate. "Superb (90-95 points). Highly Recommended." In 1990, Raymond entered his Reserve des Ancetres (made from his first two vintages, the 1946 and 1947, that had been blended together decades before) in The International Spirits Tasting Show. Raymond took home the Medaille d'Or or Gold Medal, echoing a gold his great grandfather Paulin had won at the competition in 1898. Because of this, he decided to attach the award to each bottle and it has since become known as the Medaille d'Or. At the end of the nineties, Raymond retired and dividing his property equally amongst his three daughters. He chose Claudine as his successor. To her, he passed the knowledge he had accumulated during more than half a century. Shortly thereafter, Raymond was diagnosed with cancer. He bravely battled the disease for several years and was finally confined to a bed. In October 2002, he succumbed to his struggle. Raymond was well loved within the Cognac community and was a member of many of the local committees and tasting panels. He loved experimenting with rarely-used grape varietals like Montils and Grosse Blanche, and experimenting with distillation methods. The complete antithesis to the suit-and-tie image of Cognac, Raymond remained humble in both his appearance and opinions. Instead, he let his Cognac do the talking. 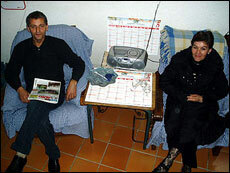 Following Raymond's death, Claudine Dudognon took over along with her husband Gerald Buraud. The Dudognon-Burauds are staunch traditionalists who distill only the Ugni Blanc grown on their properties. Their two alambics distill roughly 450-200 hl a.p. per year (100 barrels). The eau de vie from their fine parcels is aged in their small, rusticchai. These Cognacs originate from soils that are not treated with chemicals or nitrates. The wood for their barrels is air-dried for five years next to thechai. Fine rancio note on the nose, along with hints of honey, coffee, and spice. Soft and sweet in the mouth, and with excellent length. "Its deep color is an invitiation to its pleasure. Everything is sensuous about this magnificent cognac which is exceptionally balanced and complex: chocolatey nose, rich mouthfeel, and creamy and persistent length." Gerald Buraud and Claudine Dudognon-Buraud take their positions in front of the still. The more common life of a distiller. ​The decisions during distillation are done with the glass in hand rather than with scientific instruments. While many Cognacs are laden with permitted additives (sugar syrup, boisé, caramel), the only additive used in Dudognon Cognacs is water. Because of this, their color is fairly light, their sweetness comes from only naturally concentrated fruit, while their length, like the finest spirits from the Grand Champagne, is counted in minutes. Today, Claudine and Gerald continue to elevate Dudognon's Cognacs to new heights, frequently winning prizes and gathering tremendous international press.